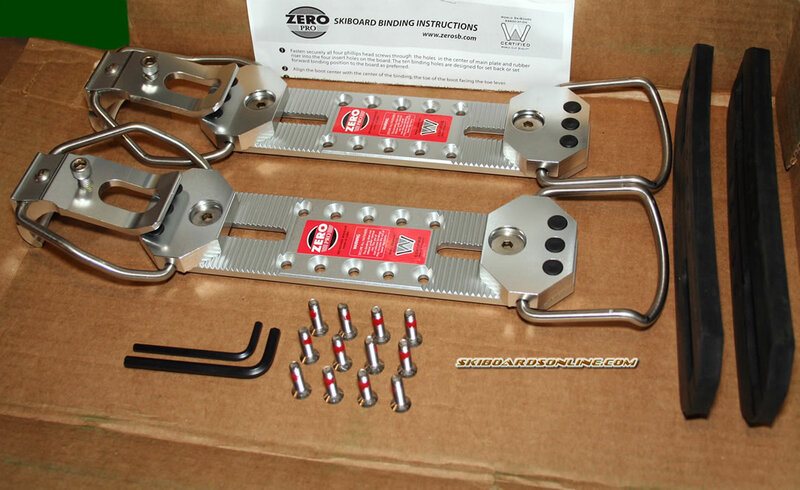 Zero has stepped up and produced a completely new binding incorporating the thickest bails, base and riser in the industry along with a ton of extra mounting holes for positive and negative stance adjustments to help you with your powder or ice riding. Includes everything seen in the picture to the right. I find absolutely everything about these bindings to wreak quality. The bails are appropriately over-built and as sturdy as anything I've ever seen. The bases have deep, heavy adjustment steps, all screws are large with widely spaced, deep-cut threads and the Allen heads are large with deep heads to accept the included Allen wrenches. 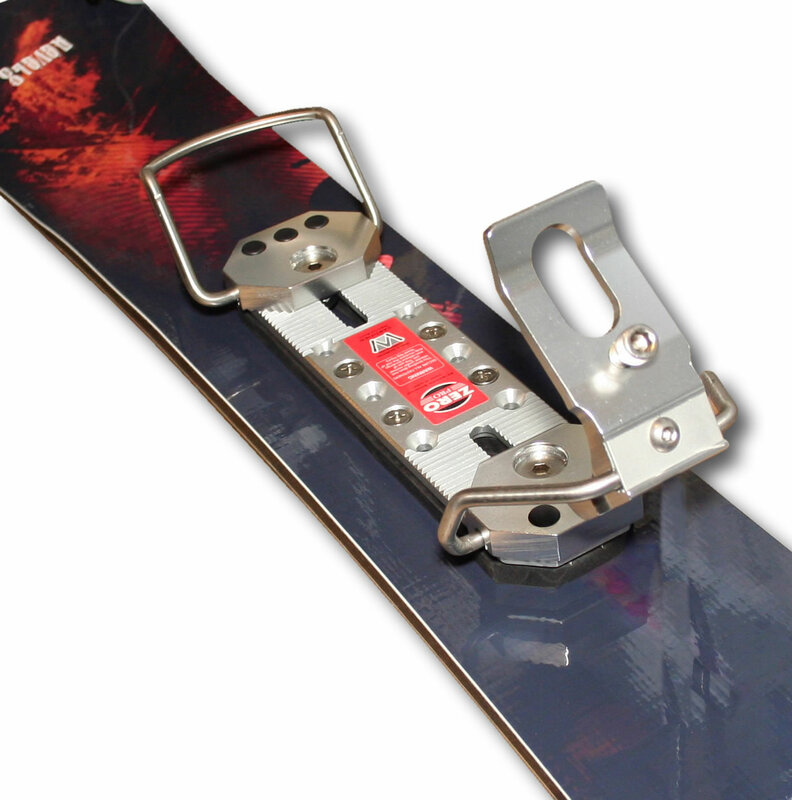 There were a total of 12 bolts with red loc-tite provided to cinch down the bindings which allowed me to fill in all the holes on my KTP's. It was very confidence inspiring knowing 6 bolts were holding each binding in place. I was especially impressed that 2 non-cheap, non-hollow Allen wrenches were included so all adjustments can be done with provided equipment. Even the rubber hole plugs are quality. They fit well, are thick and clearly not just for show. A thorough, quality effort.